If you’ve got a passion for fishing and a family that wants to play then this Sunchaser Eclipse 8523 Fish is right up your alley. 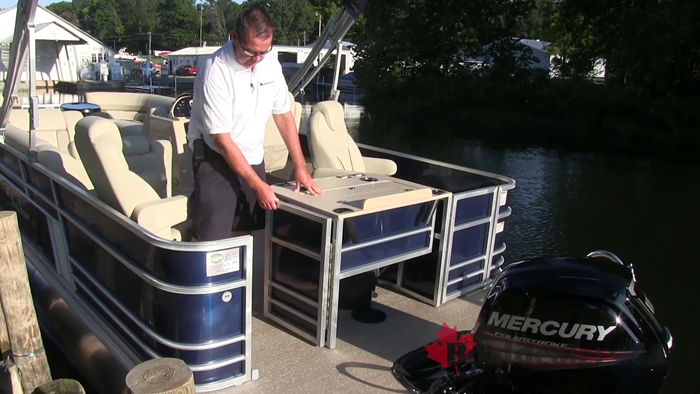 The rear fishing station offers a pair of luxurious high back fishing chairs, an aerated live well, four stationary rod holders and two trolling style rod holders and not one but two rear entry gates. 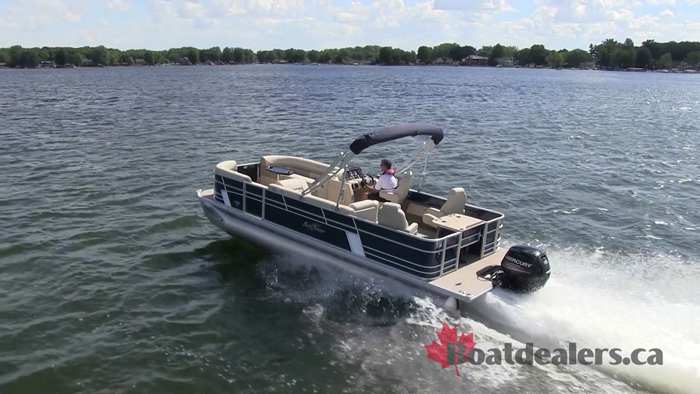 When it’s time to play in the water this craft features a generous four step telescoping re-boarding ladder and there’s plenty of space to accommodate the optional ski pole to introduce the kids to water sports. 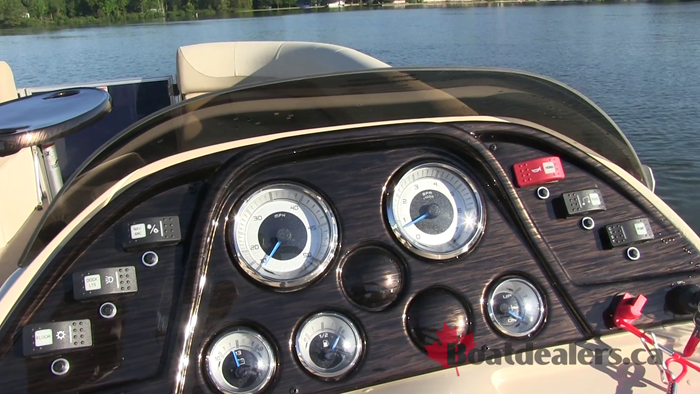 There’s a wide array of innovative lighting features throughout the boat, all readily accessible from the raised helm station. 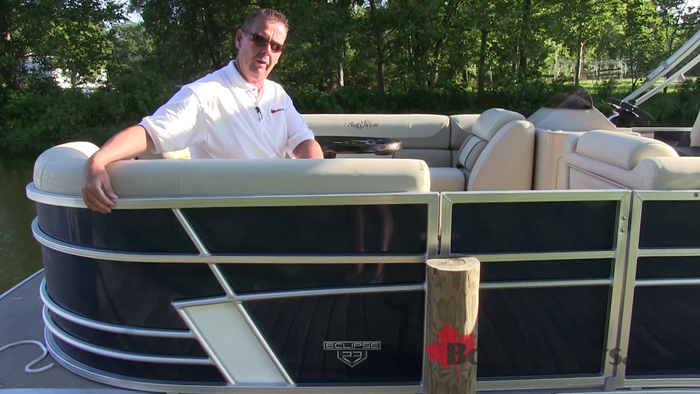 I especially enjoyed the standard docking lights and under deck lighting which are sure to improve late afternoon fishing results. 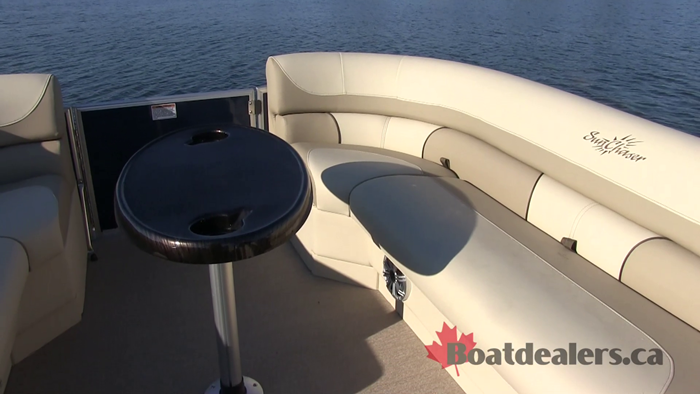 The seating layout features a total of three lounge areas and the straight lounger across form the helm (instead of the traditional L shape) beautifully opens up the interior of the boat and access to the fishing platform. 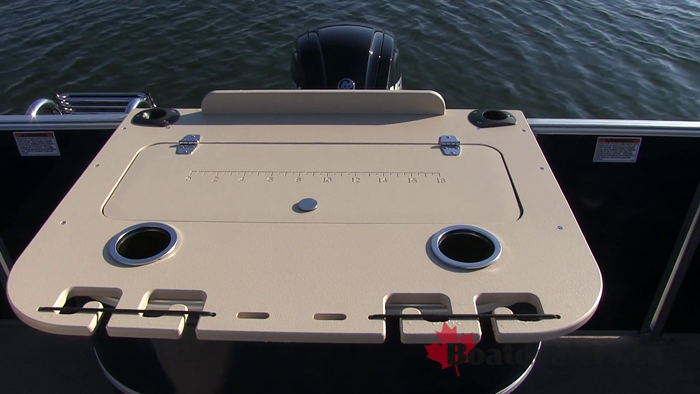 All seat boxes are roto molded and feature built in drainage channels to keep the moisture away from your stored items. 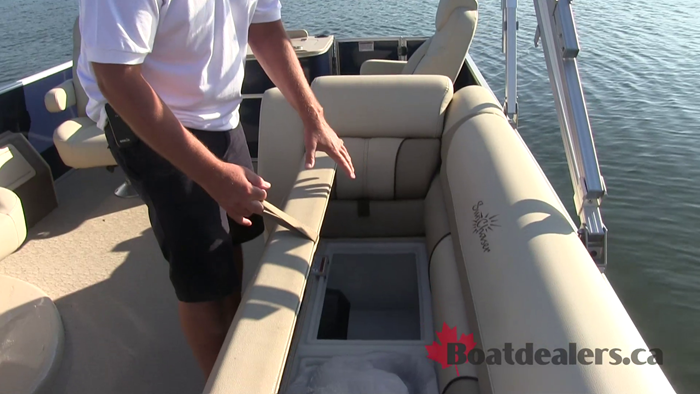 Our test boat featured Sunchaser’s PTS tube design which is highlighted by 25” tubes with inner lifting strakes on the exterior tubes and a ¾ length center tube with outer lifting strakes. The Eclipse delivers respectable performance at 28 MPH top end and a variety of great cruising speed options. 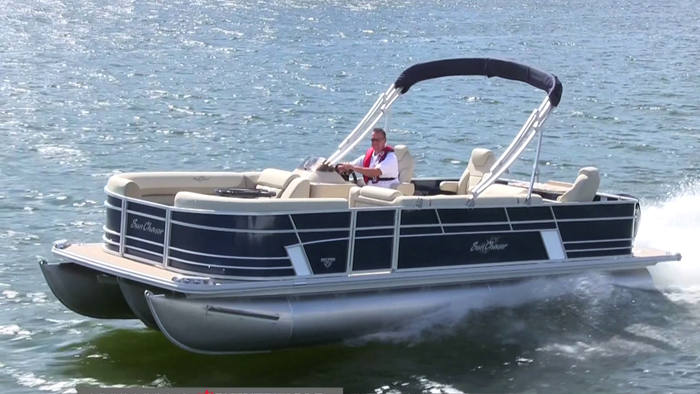 As a multi-purpose, family oriented craft this Sunchaser truly brings great bang for your boating buck.